Home / Breeders' Cup / Super Saturday Recap – What It Means for the Breeders’ Cup! This was the classic pace collapse race if there ever was one. Diversify went out to the lead, as expected, and set suicidal fractions. Mendelssohn chased that one throughout– and paid the price. But, in the end, he ran the best race of any horse in this field, as he was able to hold onto 3rd place after really putting it out there for every one of those 10 furlongs. Thunder Snow caught the perfect trip just sitting in isolation off the dueling pair several lengths back, but he could not close the deal, barely getting by Mendelssohn while refusing to change leads until the very end. 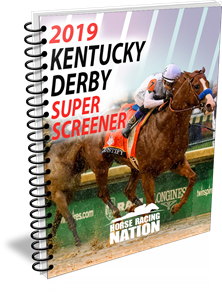 The Super Screener Top Long Shot pick, Discreet Lover, caught the perfect set up and was used very hard to run a lifetime top and catch the win at gargantuan odds of 45-1. He appeared to be in some distress post the race and was put on the vets’ list. There is no question he was clearly exhausted. Can he recover from that effort and come back to run a top race in the Breeders’ Cup Classic? Will Diversify even run back in the Classic… connections aren’t sure. One thing is clear, the pace set up for the Breeders’ Cup Classic appears to be one that will be super swift with a ton of pressure if horses like Diversify, Mendelssohn, Accelerate and others show up. As our Super Screener Breeders’ Cup Churchill Downs Handicapping Primer reveals, when the Breeders’ Cup Classic is run at Churchill Downs it is already predisposed to closers for the win spot regardless of the pace set up but even more certain when the pace comes up swift and pressured. At this early point, the Super Screener does not see the Breeders’ Cup winner coming out of this race as has happened so often in the past especially if Diversify, Mendelssohn and Accelerate all return and face off. If the pace comes up reasonable, Mendelssohn will be the horse exiting this race with the best shot to win the Breeders’ Cup Classic. The result of the G1 Awesome Again was as expected… Accelerate and West Coast would comprise the Exacta. West Coast clearly needed this race and connections got what they wanted from it… a good stiff test and one that prepared him well for a peak effort come the Breeders’ Cup Classic (keep in mind this colt is being pointed to the Pegasus World Cup and Dubai World Cup as well). Accelerate was washy heading into the gate then broke poorly and was 4 wide around that first turn but still went on to win this race rather convincingly. Can he hold it together between now and the Breeders’ Cup Classic or are we seeing the first signs that this horse has already peaked for the year? At this early point, the Super Screener sees Bob Baffert holding a very strong hand with both McKinzie and especially, West Coast heading into the Breeders’ Cup Classic. It’s this simple, Game Winner is the best 2 year-old in training and he showed why in this race. He dueled with Rowayton throughout, navigating solid but not suicidal fractions and then just drew away at will demonstrating his ability to get this distance and then some. He is your deserved Breeders’ Cup Juvenile favorite. This race was run faster than the early fractions set in the G1 American Pharoah, but run a bit slower in the final stages. Regardless, with the scratch of Mother Mother, Bellafina tracked the pace leader (which was a positive development for this filly) and then just crushed her foes with ease in the final stages. Only Serengeti Empress can get in the way of this filly who comes into the Breeders’ Cup Juvenile Filly as the deserved favorite. The fact of the matter is, year after year, fillies and mares based in CA just don’t make an impact in the Breeders’ Cup Filly and Mare Turf. In the last 6 editions of this race the winner came from either the Chad Brown barn or from the barn of Sr. Michael R. Stoute or Charles Appleby. What has to go down as the best claim of the year, Jerry Hollendorfer’s Vasilika, (claimed for $40k) just won her 7th race in a row albeit against weaker CA competition. However, she is winning these races the right way. What makes her dangerous is the fact that she is very tactical and is able to negotiate any type of pace scenario. Chad Brown is once again loaded with the top fillies and mares in this division and the European contingent is respectable, so Vasilika has her work cut out for her but she is well suited to handle the tighter turns at Churchill Downs and could very well crack the Superfecta with a repeat of her Rodeo Drive victory. No contest. This was one weak Vosburgh field. As expected, Imperial Hint just owned this race (especially when Still Krz broke tardily and had to be rushed up into contention) and was throttled down late after cutting blazing fractions and winning this in a dazzling time of 1:08 1/5. Clearly one of the top if not THE top sprinter in training right now seeking to amend his loss last year in the Breeders’ Cup Sprint to Roy H.
All of these turf stakes races run out East have been marred by dreadfully slow pace set ups. This heat was no exception, as Channel Maker inherited the lead on the soft turf going cutting the crawling fractions of :25 :50 1:16 1/5. The race couldn’t have set up any better for Channel Maker, though it is clear that he is in his best form and getting him into races earlier has paid off for connections. He finished that last quarter mile in a snappy :23 2/5 turning this affair into a two-furlong sprint with Channel Maker getting a 2-length head start…the others behind him had no chance. When a US horse wins the Breeders’ Cup Turf, this has been one of the more productive prep races. Keep in mind, however, that Europeans just dominate this race having won 8 of the past 10 editions. The G3 Pilgrim Stakes has become an irrelevant prep race for the Breeders’ Cup Juvenile Turf race and this year’s edition was no exception. It was a weak field by any measure and no horse emerged from here as a viable contender in a race that also has seen European dominance, and this year’s European 2 year-old crop is particularly strong. This past weekend was just the beginning of the Breeders’ Cup prep-palooza. Over the course of this upcoming Friday, Saturday and Sunday, there will be 17 graded stakes carded, including 7 Grade 1 affairs with most of that action happening at Belmont Park and opening weekend at Keeneland. It doesn’t get any better than that! We’ll pick from the best but cover all the key preps so that we can garner key insights from those races heading into the Breeders’ Cup. Until next weekend, Go Fast and Win! ← Previous Story What We Learned This Weekend – Recap!